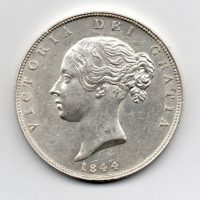 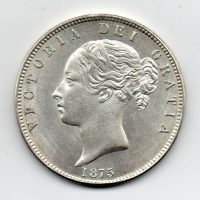 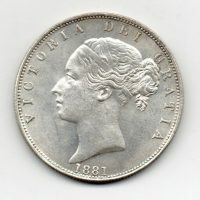 1880 Half Crown, Victoria young head, reverse, crowned shield, choice uncirculated. 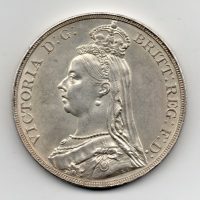 1891 Crown, Victoria Jubilee head, reverse, St. George and dragon, virtually uncirculated. 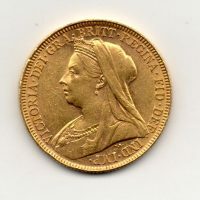 1896 Sovereign, Victoria old head, reverse, St. George and dragon, extremely fine. 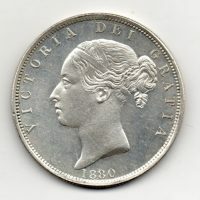 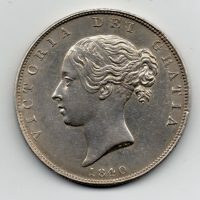 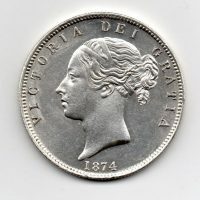 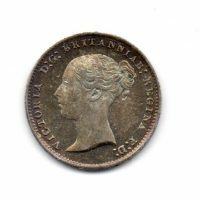 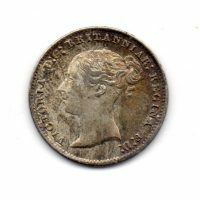 1859 Threepence, Victoria young head, reverse, crowned value, mint state.